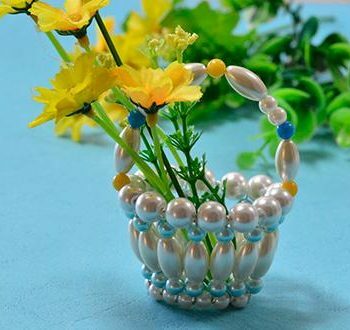 This darling beaded basket couldn’t be cuter! 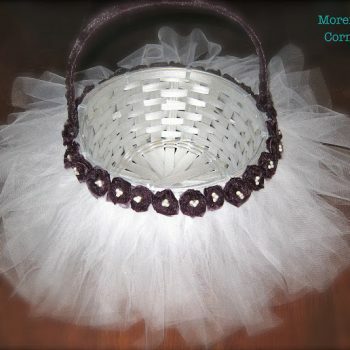 It’s best for a crafter with some beading experience. 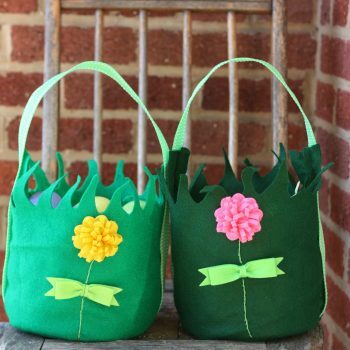 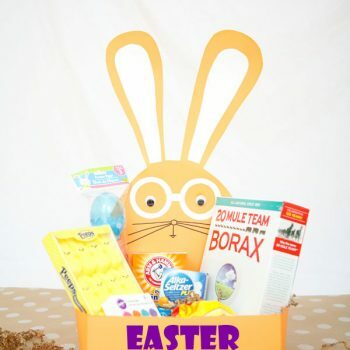 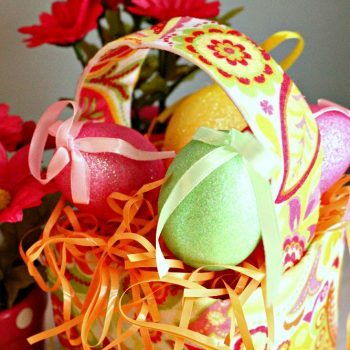 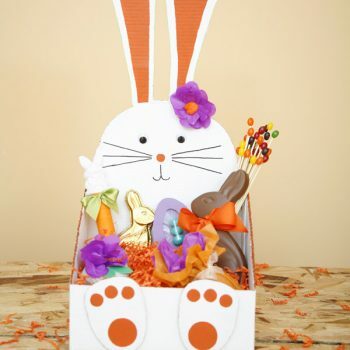 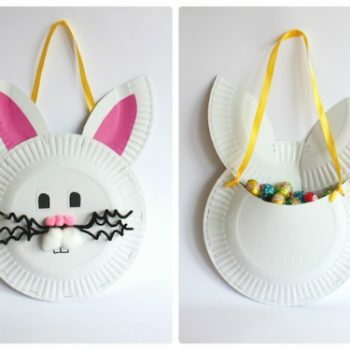 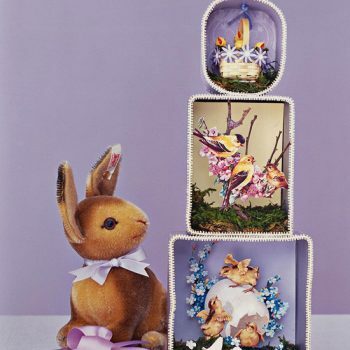 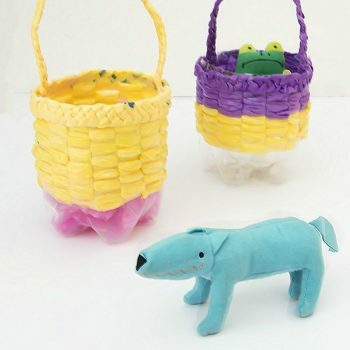 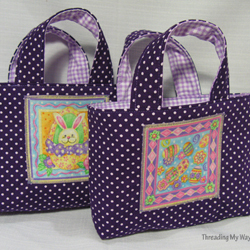 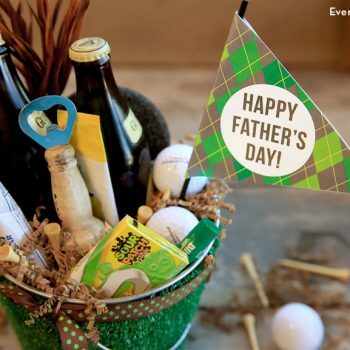 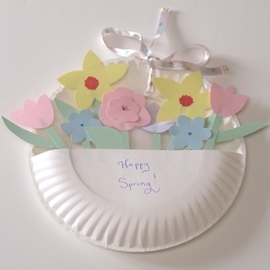 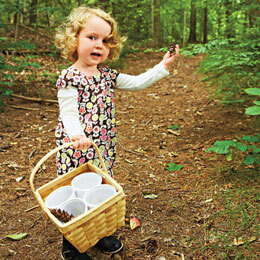 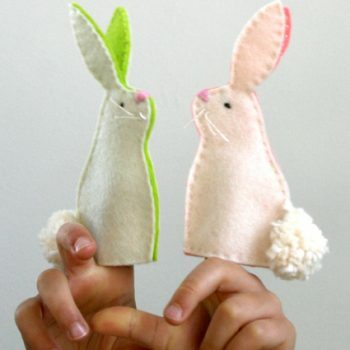 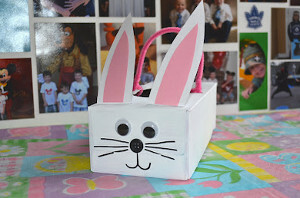 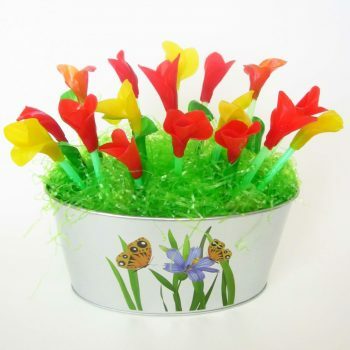 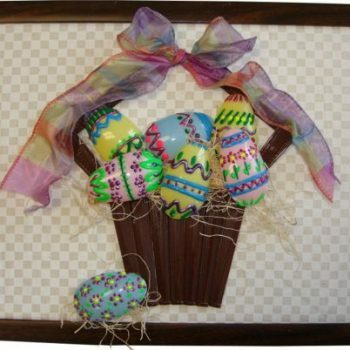 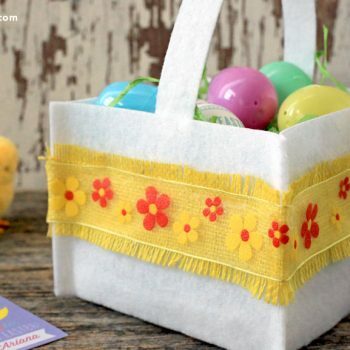 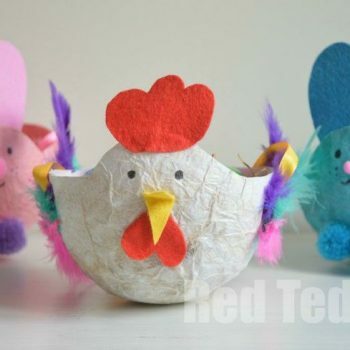 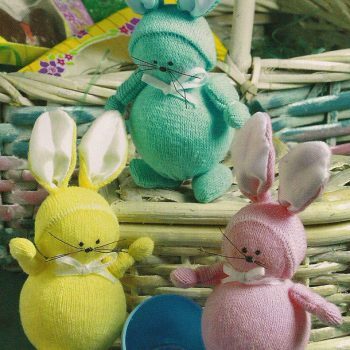 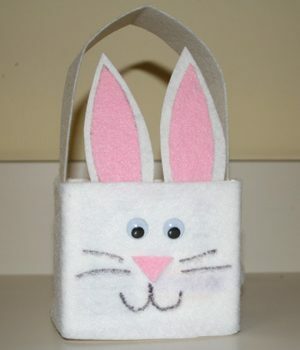 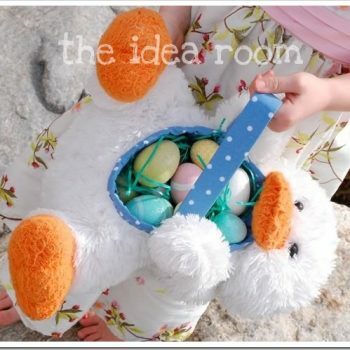 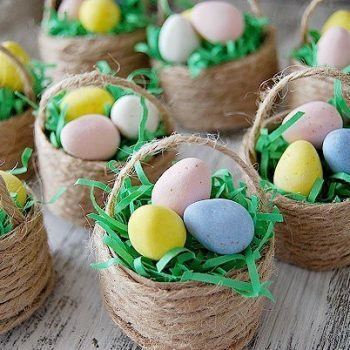 This cute Easter basket is easy, inexpensive and fun to make. 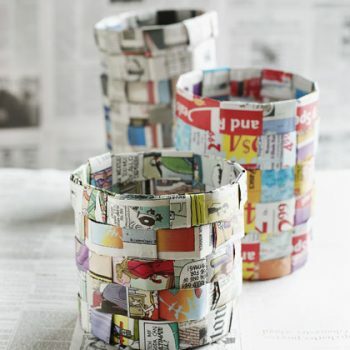 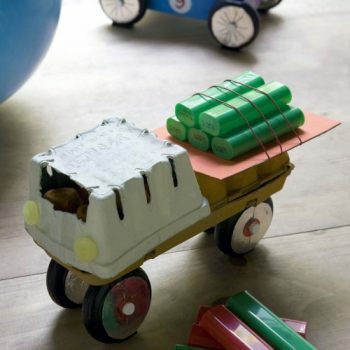 It all starts with a very common household recyclable! 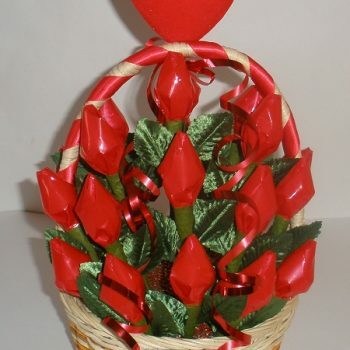 Make a beautiful bouquet of rosebuds using Hershey kisses. 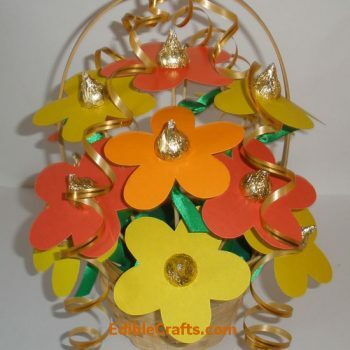 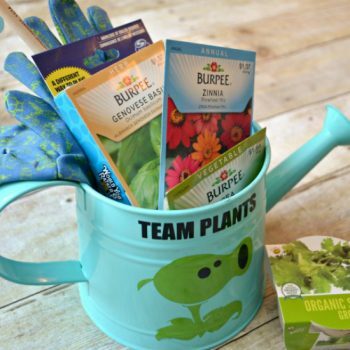 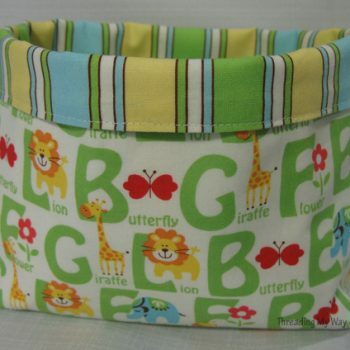 This basket makes a wonderful Valentine’s Day gift for someone special. 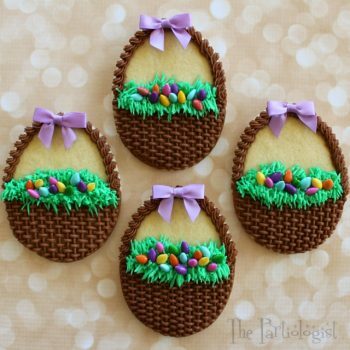 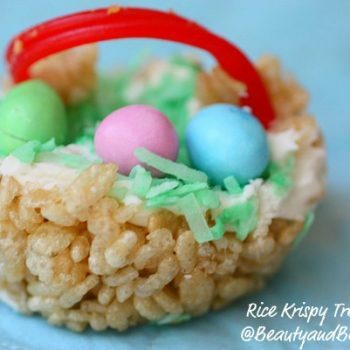 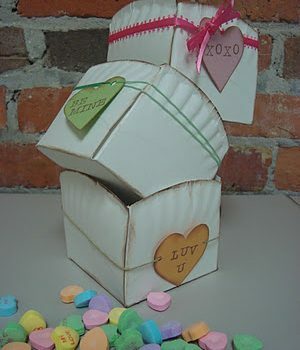 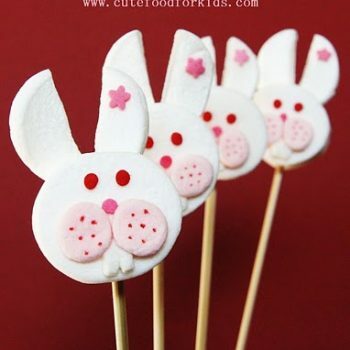 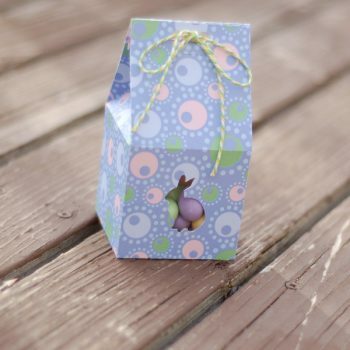 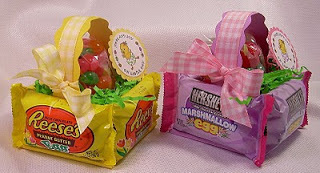 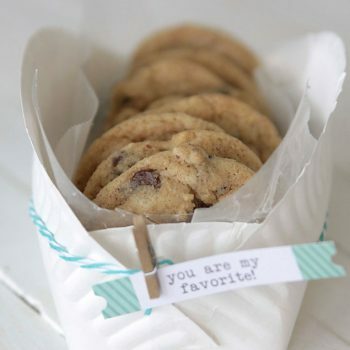 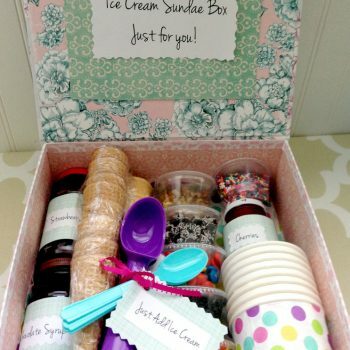 Make these cute treat boxes for Easter! 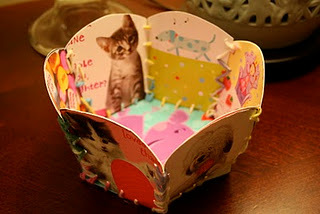 The cut-out shows the fun inside. 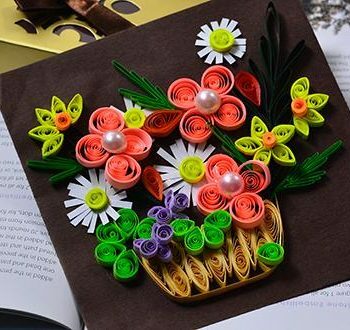 This craft requires a cutting machine. 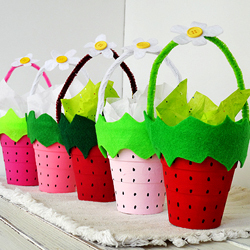 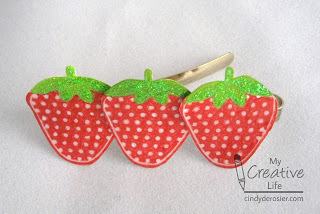 Turn empty strawberry baskets into cute houses. 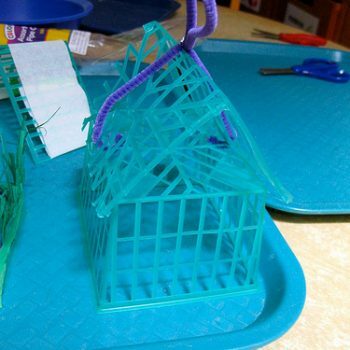 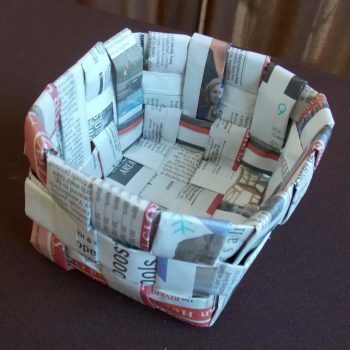 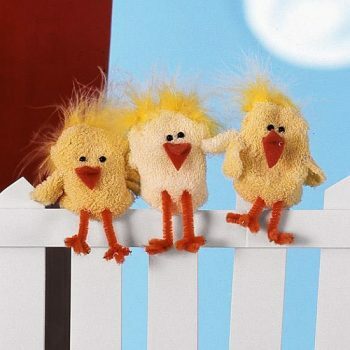 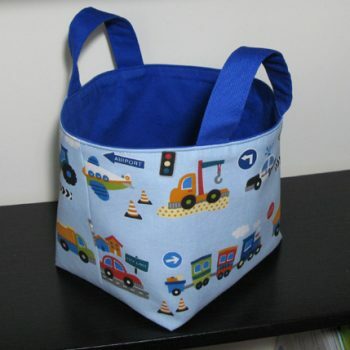 A fun activity for preschoolers with so much room for creativity. 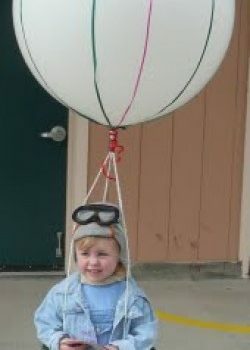 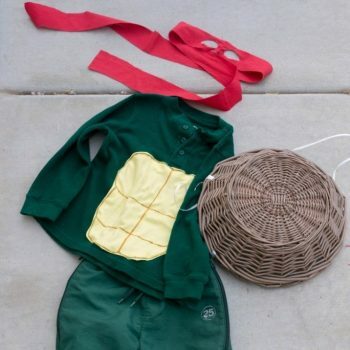 Up, up and away in this adorable hot air balloon costume!